Vintage Rides is a motorcycle tour company based in New Delhi and they have been running tours around India since 2007. They have slowly added on new desintations including Nepal, Bhutan, Mongolia and Sri Lanka. Jammin Global has partnered up with Vintage Rides to put on some exciting journeys together, namely a new transcontinental trip from India to South East Asia. 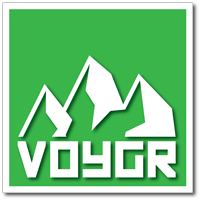 Voygr is a tour operator based in the US with a strong focus on sustainable travel. They lead treks in the Himalayas and are deeply concerned with giving back and growing the local guiding community where they conduct their treks. They do this by giving 50% of their profits back to the community. Jammin Global has partnered up with Voygr to bring to life carbon offsetting programs for our motorcycle tours and also plan some cool new tours together. Motorcycle Travellers Meet is an organisation that began in 2013 with the vision of nurturing the adventure motorcycling community in India. Its launch event was MTM 2013 and that was followed up by MTM 2014, miniMTM Mumbai 2014 and MTM North with Delhi Bikers 2014. The events are a get-together of like-minded, passionate motorcycle travellers who share experiences and inspire others to travel and explore the world on a motorcycle. The meets are geared for travellers who belong on a motorcycle and venture out to explore the boundaries of adventure. 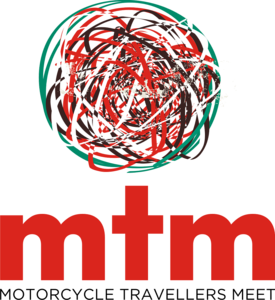 Jammin Global has partnered up with MTM to help grow the adventure motorcycling community in India. Jay presented at the founding meet and has since conducted workshops at all the other meets. There are exciting plans for 2015 coming up! Click here for all MTM related posts.